Happy 26th birthday to me! Woohoo! 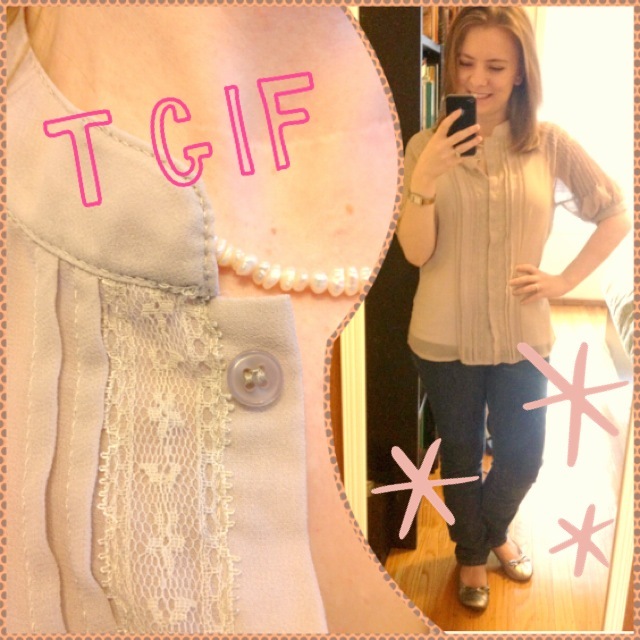 And now for another week of What I Wore Wednesday! I take advantage of warm weather whenever it’s available, since it can be pretty hit or miss around here. 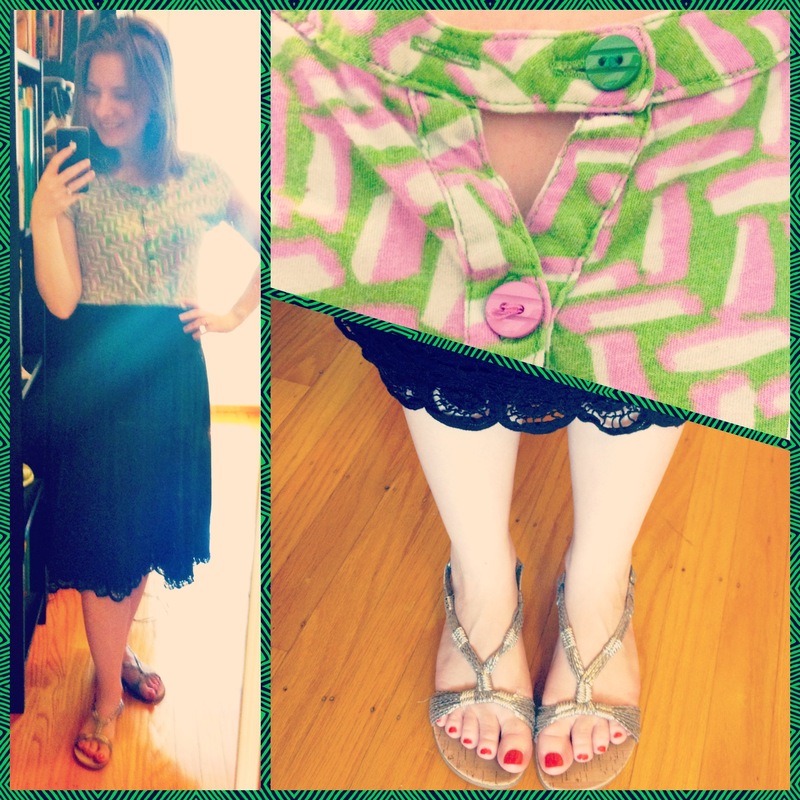 Fortunately, Sunday was pretty warm so I was able to loaf around in this comfy skirt. I didn’t have the most productive day, but at least there was time to read – and of course our favorite shows Mad Men, Game of Thrones, and Veep on Sunday night. What a Monday – foggy grey skies sure did make it hard to get out of bed. I’m ready for a vacation – good thing Memorial Day is right around the corner! 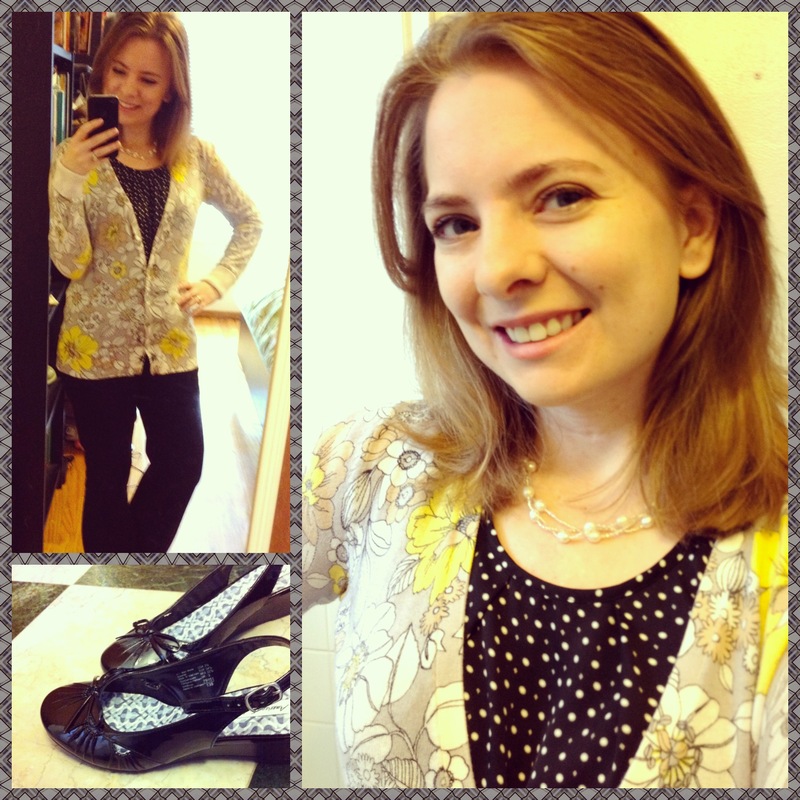 I liked this combo of polka dots and flowers, so it helped that I felt cute all day. After work, I went to the gym. 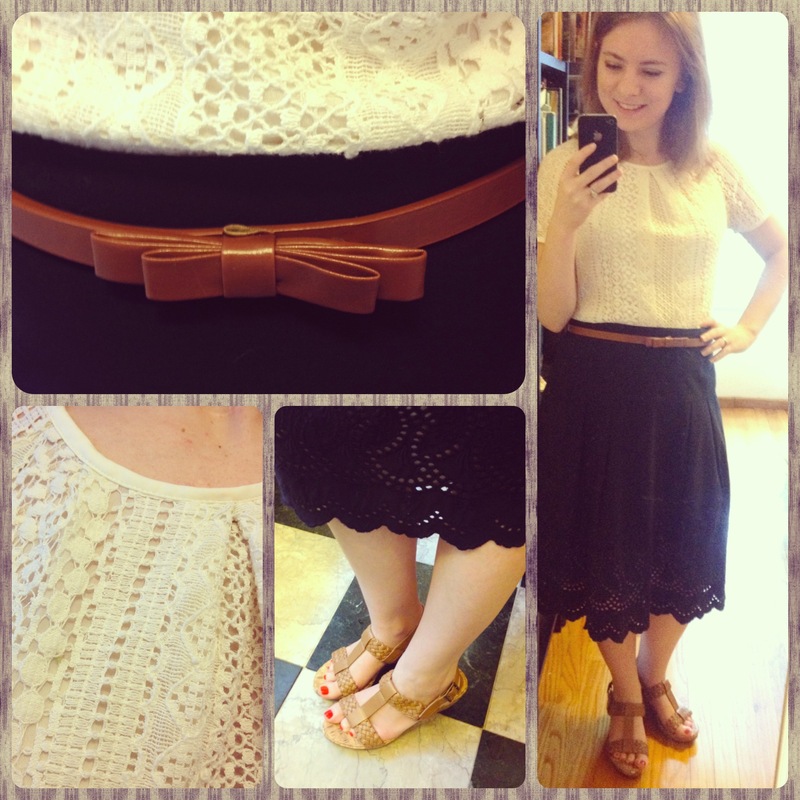 I finally put together a pinterest-inspired outfit! (In fact, I was so proud of myself that I blogged about it last week.) Just a normal day… work, eat, gym, eat, sleep. Like I said… I’m ready for a break! 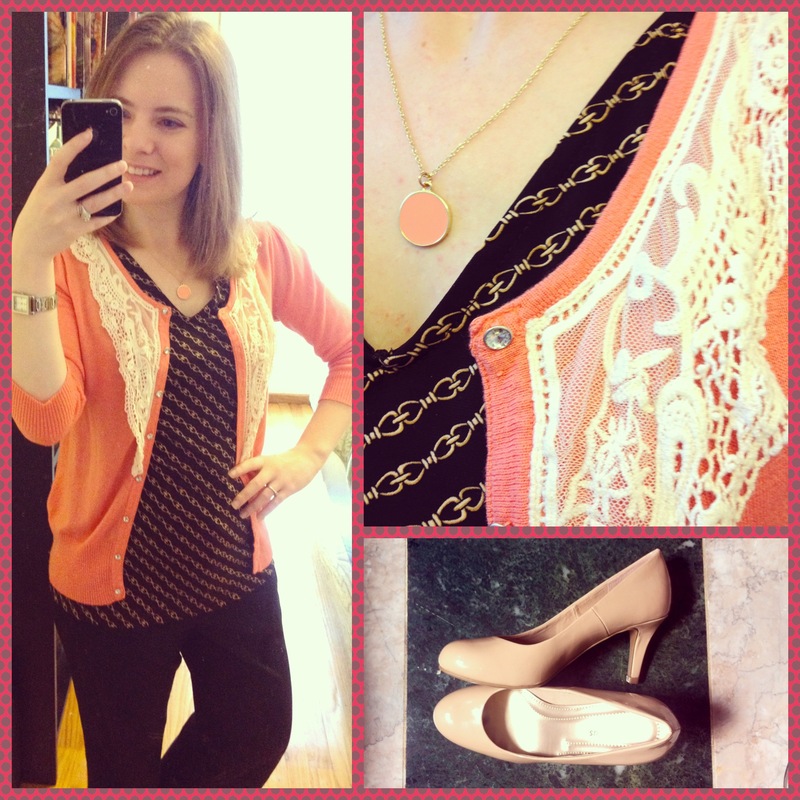 I’m still not sure that chains and lace exactly go together, but I definitely had a gleeful moment when I realized that this gold and coral necklace went with the outfit perfectly. I like it when details come together, even if no one else notices. Went to the gym again after work. 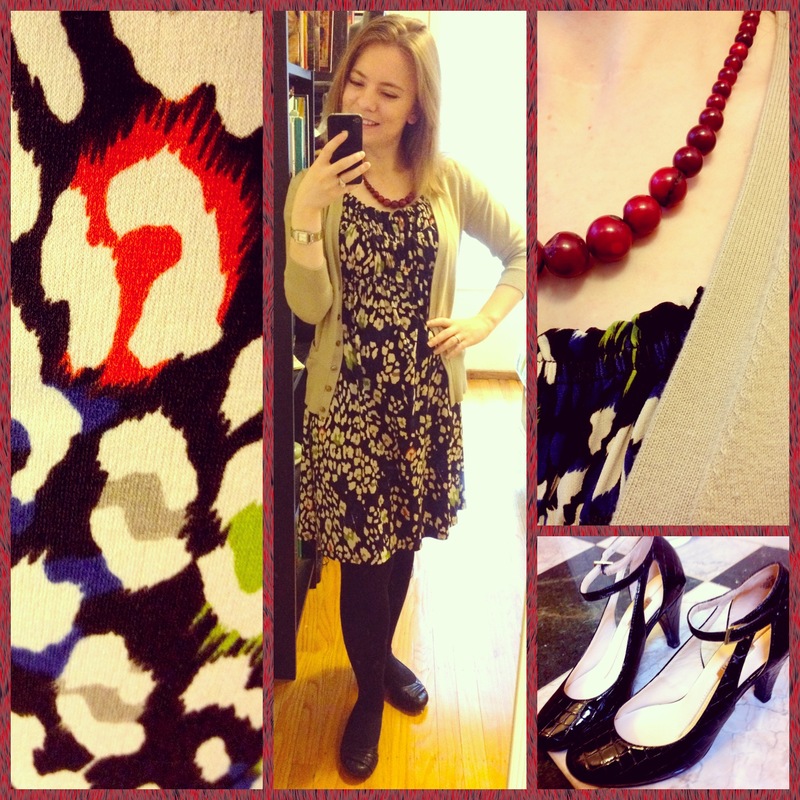 One of my favorite easy dresses to wear, and it was cold enough for tights. I finally started to feel free from the congestion/cough that had been lingering for the past three weeks – thank goodness! Work was crazy busy and I definitely needed a good work out afterwards to shrug off the stress. 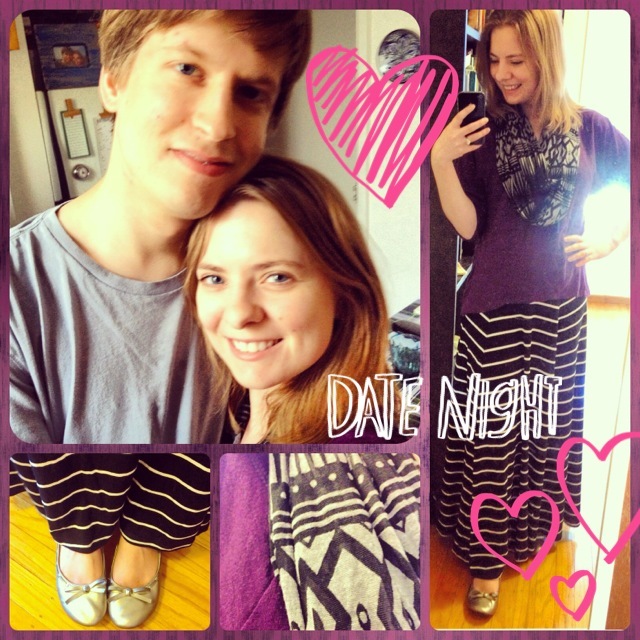 Oh man, I bought this maxi skirt on a whim but I’m so glad I did! So extremely comfortable, but easy to dress up and down! Saturday I was running around doing errands – grocery shopping, post office, Walgreens, laundry, etc. I had an eye appointment scheduled in June but there was a last-minute cancellation so I went mid-afternoon – it’s super convenient that the optometrist is located down the block! Since my birthday is this week, I’ve been justifying all kinds of shopping. New pair of glasses? Yes, please! I’ve had the same pair since high school, so I guess I’m due for something new. Saturday night, we went to our favorite restaurant for dinner. 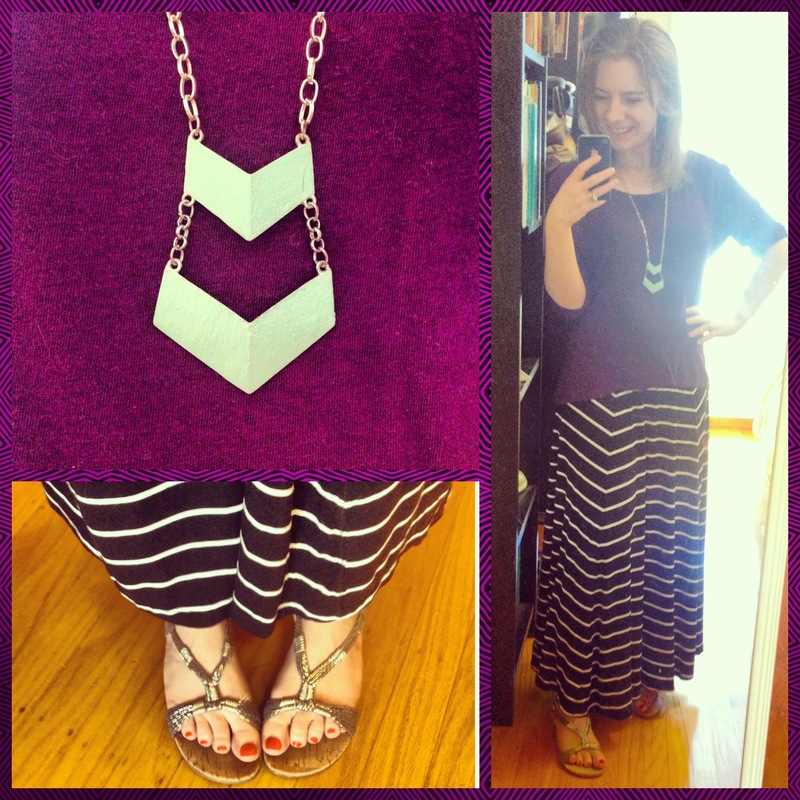 For the night version of this outfit – ditch the necklace, add the scarf, and switch the sandals for ballet flats. And still super comfy for a fun night out! Happy birthday!!!!! 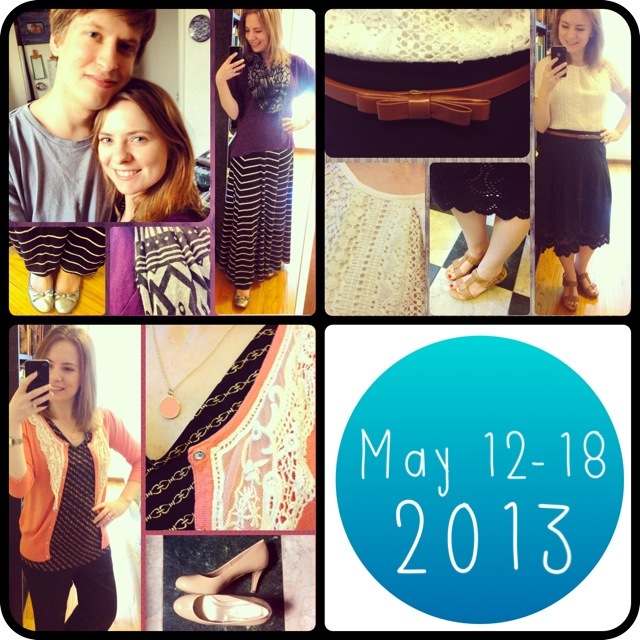 Loved the maxi skirt, the skinny belt, all the lace, and the jewelry!